The literature of India makes us acquainted with a great nation of past ages, which grasped every branch of knowledge, and which will always occupy a distinguished place in the history of the civilization of mankind. - Count Magnus Fredrik Ferdinand Bjornstjerna. Sanskrit (/ˈsænskrɪt/; संस्कृतम् saṃskṛtam [səmskr̩t̪əm], originally संस्कृता वाक् saṃskṛtā vāk, "refined speech") is the primary liturgical language of Hinduism, a philosophical language in Hinduism, Buddhism, and Jainism, and a literary language that was in use as a lingua franca in the Indian cultural zone. It is a standardised dialect of Old Indo-Aryan language, originating as Vedic Sanskrit and tracing its linguistic ancestry back to Proto-Indo-Iranian and Proto-Indo-European. Today it is listed as one of the 22 scheduled languages of India and is an official language of the state of Uttarakhand. Sanskrit holds a prominent position in Indo-European studies. Though its fame is much restricted by its specialized nature, there is no doubt that Panini's grammar is one of the greatest intellectual achievements of any ancient civilization, and the most detailed and scientific grammar composed before the 19th century in any part of the world. - Professor A. L. Basham. A poem in Sanskrit of the ancient Indian poet Vallana on a wall in the Netherlands - [Sanskrit is] the great spiritual language of the world. - Joseph Campbell. The Ancient and classical creations of the Sanskrit tongue both in quality and in body and abundance of excellence, in their potent originality and force and beauty, in their substance the height and width of the reach of their spirit stand very evidently in the front rank among the world's great literatures. Sri Aurobindo in: Shantha N. Nair Echoes of Ancient Indian Wisdom, Pustak Mahal, 1 January 2008, p. 152. Professor A. L. Basham In: Daya Kishan Thussu Communicating India's Soft Power: Buddha to Bollywood, p. 47. The literature of India makes us acquainted with a great nation of past ages, which grasped every branch of knowledge, and which will always occupy a distinguished place in the history of the civilization of mankind. Count Magnus Fredrik Ferdinand Bjornstjerna in: The Theogony of the Hindoos with Their System of Philosophy and Cosmogony by Count M. Björnstjerna, Murray, 1844 , p. 85. There is at least one language, Sanskrit, which for the duration of almost 1000 years was a living spoken language with a considerable literature of its own. Besides works of literary value, there was a long philosophical and grammatical tradition that has continued to exist with undiminished vigor until the present century. Among the accomplishments of the grammarians can be reckoned a method for paraphrasing Sanskrit in a manner that is identical not only in essence but in form with current work in Artificial Intelligence. Richard Briggs in: Purāṇam, Volume 28, All-India Kasiraja Trust., 1986, p. 221. The richness of Sanskrit language is almost beyond belief. Many centuries ago that language contained words to describe states of the conscious and the subconscious and the unconscious mind and a variety of other concepts which have been evolved by modern psychoanalysis and psyche-therapy. Further, it has many a word, of which there is no exact synonym even in the richest modern languages. That is why some modern writers have been driven occasionally to use Sanskrit words when writing in English. Richard Briggs in: Bhavan's Journal, Volume 33, Issues 1-12, 1986, p. 61. [Sanskrit is] the great spiritual language of the world. Joseph Campbell in: Charles Johnson Turning the Wheel: Essays on Buddhism and Writing. Simon and Schuster, 15 June 2010, p. 8. Sanskrit was a complete success and became the language of all cultured people in India and in countries under Indian influence. All scientific, philosophical, historical works were henceforth written in Sanskrit, and important texts existing in other languages were translated and adapted into Sanskrit. For this reason, very few ancient literary, religious, or philosophical documents exits in India in other languages. The sheer volume of Sanskrit literature is immense, and it remains largely unexplored. Alain Danielou in: Virtue, Success, Pleasure, and Liberation: The Four Aims of Life in the Tradition of Ancient India, Inner Traditions / Bear & Co, 1 August 1993, p. 17. India was the motherland of our race, and Sanskrit the mother of Europe's languages: she was the mother of our philosophy; mother, through the Arabs, of much of our mathematics; mother, through the Buddha, of the ideals embodied in Christianity; mother, through the village community, of self-government and democracy. Mother India , in many ways, the mother of us all. - Will Durant . The creation of Sanskrit, the “refined” language, was a prodigious work on a grand scale. Grammarians and semanticists of genius undertook to create a perfect language, artificial and permanent, belonging to no one, that was to become the language of the entire culture. Sanskrit is built on a basis of Vedic and the Prakrits, but has a much more complex grammar, established according to a rigorous logic. It has an immense vocabulary and a very adaptable grammar, so that words can be grouped together to express any nuance of an idea, and verb forms can be found to cover any possibility of tense, such as future intentional in the past, present continuing into the future, and so on. Furthermore, Sanskrit possesses a wealth of abstract nouns, technical and philosophical terms unknown in any other language. Modern Indian scholars of Sanskrit culture have often remarked that many of the new concepts of nuclear physics or modern psychology are easy for them to grasp, since they correspond exactly to familiar notions of Sanskrit terminology. Alain Danielou in: A Brief History of India, Inner Traditions / Bear & Co, 11 February 2003, p. 58. Sanskrit is constructed like geometry and follows a rigorous logic. It is theoretically possible to explain the meaning of the words according to the combined sense of the relative letters, syllables and roots. Sanskrit has no meanings by connotations and consequently does not age. Panini's language is in no way different from that of Hindu scholars conferring in Sanskrit today. Alain Danielou in: Virtue, Success, Pleasure, and Liberation: The Four Aims of Life in the Tradition of Ancient India, Inner Traditions / Bear & Co, 01-Aug-1993 , p. 17. The majesty and grandeur of the Sanskrit language, the sonorousness of the word music, the rise and fall of the rhythm rolling in waves, the elasticity of meaning and the conventional atmosphere that appears in it have always made it charming to those for whom it was written. 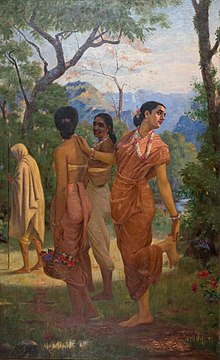 ...The wealth of imagery, the vividness of description of natural scenes, the underlying suggestiveness of higher ideals and the introduction of imposing personalities often lead great charm to Sanskrit poetry. S. N. Dasgupta and S. K. De in: Varadaraja V. Raman Indic Visions, Xlibris Corporation, 26 August 2011, p. 68. The introduction of the use of Sanskrit as the lingu-franca is a turning point in the mental history of the Indian people. The causes that preceded it, the changes in the intellectual standpoint that went with it, the results that followed on both, are each of them of vital importance." Dr. T. W. Rhys Davids in: Sachindra Kumar Maity Cultural Heritage of Ancient India, Abhinav Publications, 1983 , p. 48. India was the motherland of our race, and Sanskrit the mother of Europe's languages: she was the mother of our philosophy; mother, through the Arabs, of much of our mathematics; mother, through the Buddha, of the ideals embodied in Christianity; mother, through the village community, of self-government and democracy. Mother India , in many ways, the mother of us all. Will Durant in: The Case for India quoted in: Arvind Sharma One Religion Too Many: The Religiously Comparative Reflections of a Comparatively Religious Hindu, SUNY Press, 06-May-2011, p. 115. Sanskrit is the most convenient language for computer software programming. Sanskrit means “complete”, “perfect” and “definitive”. In fact, this language is extremely elaborate, almost artificial, and is capable of describing multiple levels of meditation, states of consciousness and psychic, spiritual and even intellectual processes. As for vocabulary, its richness is considerable and highly diversified. Sanskrit has for centuries lent itself admirably to the diverse rules of prosody and versification.... - Georges Ifrah. There is a great misconception about Sanskrit that it is only a language to be recited as mantras in temples or in religious ceremonies. However, that is only 5% of the Sanskrit literature. The remaining 95% has nothing to do with religion. In particular, Sanskrit was the language in which all our great scientists in ancient India wrote their works. - Justice Markandey Katju. ...The works of Kalidasa (Shakuntala, Meghdoot, Malavikagnimitra, etc. ), Bhavabhuti (Malti Madhav, Uttar Ramcharit, etc.) and the epics of Valmiki, Vyasa, etc. are known all over the world. These and countless other Sanskrit works kept the light of learning ablaze in our country upto modern times. - Justice Markandey Katju. The literature of the Sanskrit language incontestably belongs to a highly cultivated people, whom we may with great reason consider to have been the most informed of all the Epics. It is, at the same time, a scientific and a poetic literature. 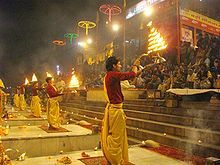 Hindu literature is one of the richest in prose and poetry. Arnold Hermann Ludwig Heeran in: Hindu superiority: an attempt to determine the position of the Hindu race in the scale of nations, archive.org. The fact is that Sanskrit is more deeply interwoven into the fabric of the collective world consciousness than anyone perhaps knows. After many thousands of years, Sanskrit still lives with a vitality that can breathe life, restore unity and inspire peace on our tired and troubled planet. It is a sacred gift, an opportunity. The future could be very bright. Vyaas Houston in: Sanskrit and the Technological Age, American Sanskrit Institute. Vyaas Houston in: "Sanskrit and the Technological Age". With the Muslim invasions from 1100 A.D. onwards, Sanskrit gradually became displaced by common languages patronized by the Muslim kings as a tactic to suppress Indian cultural and religious tradition and supplant it with their own beliefs. But they could not eliminate the literary and spiritual-ritual use of Sanskrit. In Sanskrit, vaak, speech, the "word" of Genesis, incorporates both the sense of "voice" and "word". It has four forms of expression. The first, paraa, represents cosmic ideation arising from the original and absolute divine presence. The second, pashyantii (literally "seeing") is vaak as subject "seeing," which creates the object of madhyamaavaak, the third and subtle form of speech before it manifests as vaikhariivaak, the gross production of letters in spoken speech. Sanskrit means “complete”, “perfect” and “definitive”. In fact, this language is extremely elaborate, almost artificial, and is capable of describing multiple levels of meditation, states of consciousness and psychic, spiritual and even intellectual processes. As for vocabulary, its richness is considerable and highly diversified. Sanskrit has for centuries lent itself admirably to the diverse rules of prosody and versification. Thus we can see why poetry has played such a preponderant role in all of Indian culture and Sanskrit literature. Georges Ifrah in: Sushama Londhe A Tribute to Hinduism: Thoughts and Wisdom Spanning Continents and Time about India and Her Culture, Pragun Publications, 2008, p. 306. Sanskrit, a language which belongs to the Indo-European group and has been the chief literary vehicle of Indian thought, is an instrument admirably adapted to give expression to every subtlety of human thought, every nuance of human feeling. Cyril Edwin Mitchinson Joad in: K. S. Ramaswami Sastri Hindu Culture and the Modern Age: Special Lectures Delivered at the Annamalai University, Annamalai Univ., 1956 , p. 179. The Sanskrit language, whatever be its antiquity, is of a wonderful structure; more perfect than the Greek, more copious than the Latin and more exquisitely refined than either: yet bearing to both of them a stronger affinity, both in the roots of verbs, and in the forms of grammar, than could possibly have been produced by accident; so strong indeed, that no philologer could examine them all without believing them to have sprung from some common source which perhaps no longer exists; there is a similar reason, though not quite so forcible, for supposing that both the Gothic and the Celtic, though blended with a different idiom, had the same origin with the Sanskrit; and the old Persian might be added to the same family. Sir William Jones in: Carlos Quiles, Fernando López-Menchero A Grammar of Modern Indo-European, Indo-European Association, 3 May 2011, p. 50. There is a great misconception about Sanskrit that it is only a language to be recited as mantras in temples or in religious ceremonies. However, that is only 5% of the Sanskrit literature. The remaining 95% has nothing to do with religion. In particular, Sanskrit was the language in which all our great scientists in ancient India wrote their works. Justice Markandey Katju in Speech delivered on 13.10.2009 in the Indian Institute of Science Bangalore in: Sanskrit As A Language Of Science, Indian Institute of Science. Justice Markandey Katju in: "Sanskrit As A Language Of Science". The word `Sanskrit' means “prepared, pure, refined or prefect”. 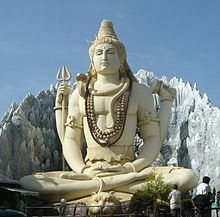 It was not for nothing that it was called the `devavani' (language of the Gods). It has an outstanding place in our culture and indeed was recognized as a language of rare sublimity by the whole world. Sanskrit was the language of our philosophers, our scientists, our mathematicians, our poets and playwrights, our grammarians, our jurists, etc. In grammar, Panini and Patanjali (authors of Ashtadhyayi and the Mahabhashya) have no equals in the world; in astronomy and mathematics the works of Aryabhatta, Brahmagupta and Bhaskara opened up new frontiers for mankind, as did the works of Charaka and Sushruta in medicine. In philosophy Gautam (founder of the Nyaya system), Ashvaghosha (author of Buddha Charita), Kapila (founder of the Sankhya system), Shankaracharya, Brihaspati, etc., present the widest range of philosophical systems the world has ever seen, from deeply religious to strongly atheistic. Jaimini's Mimansa Sutras laid the foundation of a whole system of rational interpretation of texts which was used not only in religion but also in law, philosophy, grammar, etc. In literature, the contribution of Sanskrit is of the foremost order. 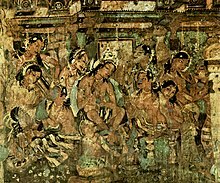 The works of Kalidasa (Shakuntala, Meghdoot, Malavikagnimitra, etc. ), Bhavabhuti (Malti Madhav, Uttar Ramcharit, etc.) and the epics of Valmiki, Vyasa, etc. are known all over the world. These and countless other Sanskrit works kept the light of learning ablaze in our country upto modern times. Since the Renaissance there has been no event of such worldwide significance in the history of culture as the discovery of Sanskrit literature in the latter part of the eighteenth century. Arthur Anthony Macdonell in: Great Minds on India, Salil Gewali, Penguin UK, 15 February 2013, p. 102. Sanskrit is the artificial language par excellence, patiently refined sound by sound...embracing all the levels of being physical, emotional, intellectual and spiritual. It is ideally suited to describe and govern the nature of phenomena from the spiritual level to the physical. This range of applicability in the realm of nature paradoxically makes this most artificial language the most natural language, the language of nature. Jean Le Mee in: S. Ramachandra Rao Studies in Indian Culture: A Volume of Essays Presented to Sāhitya Śiromaṇi Professor S. Ramachandra Rao, Retired Professor of Sanskrit, University of Mysore, Professor S. Ramachandra Rao Felicitation Committee, 1986, p. 1. Sanskrit is a beautiful, powerful, resonating language, with a structure and richness not found within most modern languages. The logic and beauty within Sanskrit reflect the two levels needed to appreciate Ayurveda fully; the outer knowledge passed on from teachers and books, and the inner knowledge or intuition gained through experience, by applying what we learn to our daily lives. Judith H. Morrison in: The Book of Ayurveda, Simon and Schuster, 1 July 1995, p. 17. Many nouns in Sanskrit have more than one base, or rather they modify their base according to rule before certain terminations. Friedrich Max Müller in: Handbooks for the Study of Sanskrit, Volume 4, Longmans, Green and Company, 1866, p. 76. There are many points of great interest to the student of language, in the long history of the speech [of India]; and it has been truly said that Sanskrit is to the science of language what mathematics is to astronomy. Friedrich Max Müller in: Lectures on the Science of Language Delivered at the Royal Institution of Great Britain in April, May & June 1861, Longman, Green, Longman, Roberts & Green, 1864, p. 207. ...The classical Indian culture in which Sanskrit first flourished offers an immense variety of material, from romantic comedy and sensual poetry to epic, massive-word play, political science and philosophy.... - Nicholas Ostler. ...The vastness and the versatility, and power of expression can be appreciated by the fact that this language has 65 words to describe various forms of earth, 67 words for water, and over 250 words to describe rainfall. - Bansi Pandit. Einstein is also, and I think rightly, known as a man of very great goodwill and humanity. Indeed if I had to think of a single word for his attitude towards human problems, I would pick the Sanskrit word Ahimsa, not to hurt, harmlessness. Robert Oppenheimer in: Albert Einstein, The New York Review of Books. Sanskrit has many virtues that attract. Its grammar has been rigorously analyzed, but not in a doctrinaire way – there is room for intellectual debate. The classical Indian culture in which Sanskrit first flourished offers an immense variety of material, from romantic comedy and sensual poetry to epic, massive-word play, political science and philosophy. It embodies a contradiction, that a language whose literature is so lithe, should be indigenously analyzed as a sort of architectural structure. And I suppose I like the fact that it is so difficult (coming from English, certainly), yet so familiar in another way (coming at it from Latin, Greek and Russian). w:Nicholas Ostler Nicholas Ostler in: An Interview With Linguist Nicholas Ostler, California Literary Review, 3 April 2007. Sanskrit (meaning "cultured or refined"), the classical language of Hinduism, is the oldest and the most systematic language in the world. The vastness and the versatility, and power of expression can be appreciated by the fact that this language has 65 words to describe various forms of earth, 67 words for water, and over 250 words to describe rainfall. To acquire the mastery of this language is almost a labor of a life; its literature seems exhaustless. The utmost stretch of imagination can scarcely comprehend its boundless mythology. Its philosophy has touched upon every metaphysical difficulty; its legislation is as varied as the castes for which it was designed. - W. C. Taylor. God spoke once. He spoke in Sanskrit, and that is the divine language. - Swami Vivekananda. No reasonable person will deny to the Hindus of former times the praise of very extensive learning. The variety of subjects upon which they wrote [in Sanskrit] prove that almost every science was cultivated among them. The manner also in which they treated these subjects proves that the Hindus learned men yielded the palm of learning to scarcely any other of the ancients. The more their philosophical works and law books are studied, the more will the enquirer be convinced of the depth of wisdom possessed by the authors. Har Bilas Sarda in: Hindu Superiority: An Attempt to Determine the Position of the Hindu Race in the Scale of Nations, Rajputana Printing Works, 1906, p. 204. Sanskrit has also the Divine afflatus of the Hebrew tongue. Friedrich von Schlegel in: Satyavrata R. Patel The soul of India, Orient Book Distributors, 1974, p. 78. There is no language in the world, even Greek, which has the clarity and the philosophical precision of Sanskrit. India is not only at the origin of everything she is superior in everything, intellectually, religiously or politically and even the Greek heritage seems pale in comparison. Friedrich von Schlegel in: Francois Gautier Arise Again, O India, Har Anand Publications, 2000, p. 25. Justly it is called Sanskrit, ie. perfected, finished. In its structure and grammar, it closely resembles the Greek, but is infinitely more regular and therefore more simple, though not less rich. It combines fullness, indicative of Greek development, the brevity and nice accuracy of Latin; whilst having a near affinity to the Persian and German roots, it is distinguished by expression as enthusiastic and forcible as theirs. Friedrich von Schlegel in History of Literature quoted in: The National Quarterly Review, Volumes 3-4, Pudney & Russell, 1861, p. 6. ...a language, the parent of all those dialects that Europe has fondly called classical - the source alike of Greek flexibility and Roman strength. A philosophy, compared with which, in point of age, the lessons of Pythagoras are but of yesterday, and in point of daring speculation Plato's boldest efforts were tame and commonplace. A poetry more purely intellectual than any of those of which we had before any conception; and systems of science whose antiquity baffled all power of astronomical calculation. This literature, with all its colossal proportions, which can scarcely be described without the semblance of bombast and exaggeration claimed of course a place for itself - it stood alone, and it was able to stand alone. W. C. Taylor in the Journal of Asiatic Society quoted in: Varadaraja V. Raman Indic Visions, Xlibris Corporation, 26 August 2011, p. 68. To acquire the mastery of this language is almost a labor of a life; its literature seems exhaustless. The utmost stretch of imagination can scarcely comprehend its boundless mythology. Its philosophy has touched upon every metaphysical difficulty; its legislation is as varied as the castes for which it was designed. W. C. Taylor in: Edward POCOCKE India in Greece; or, Truth in Mythology. Containing the sources of the Hellenic race, the colonisation of Egypt and Palestine, the wars of the Grand Lama, and the Bud'histic propaganda in Greece, etc ,The Journal of Royal Asiatic Society, 1852, p. 192. The consonantal division of the alphabet of the Sanskrit language was a more wonderful feat of human genius than any the world has yet seen. Alexander Thomson in: Hindu Vishva, Volumes 10-11, 1974, p. 100. Sanskrit no doubt has an immense advantage over all other ancient languages of the East. It is so attractive and has been so widely admired, that it almost seems at times to excite a certain amount of feminine jealousy. 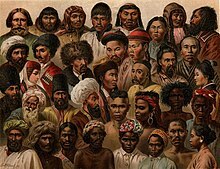 We are ourselves Indo-Europeans. In a certain sense we are still speaking and thinking Sanskrit; or more correctly Sanskrit is like a dear aunt to us and she takes the place of a mother who is no more. Shrimat Upendramohan in: The Nineteenth Century, Volume 29, Henry S. King & Company, 1891, p. 805. God spoke once. He spoke in Sanskrit, and that is the divine language. Swami Vivekananda in: The Complete Works of Swami Vivekananda ( Vol 1-9 ), Kartindo Classics, Kartindo.com, p. 227. In our country, owing to all learning being in Sanskrit from the ancient times, there has arisen an immeasurable gulf between the learned and the common folk. Swami Vivekananda in: The Complete Works of Swami Vivekananda ( Vol 1-9 ) [ Kartindo Classics, Kartindo.com, p. 455. Just look at Sanskrit. Look at the Sanskrit of the Brâhmanas,w:SabarimalaShabara]] Swâmi's commentary on the Mimâmsâ philosophy, the Mahâbhâshya of Patanjali, and, finally, at the great Commentary of Achârya Shankara: and look also at the Sanskrit of comparatively recent times. You will at once understand that so long as a man is alive, he talks a living language, but when he is [[dead, he speaks a dead language. Swami Vivekananda in: The Complete Works of Swami Vivekananda/Volume 6/Writings: Prose and Poems(Original and Translated)/The Bengali Language, Wokisource. Sanskrit and prestige go together in India. Swami Vivekananda in: The Complete Works of Swami Vivekananda/Volume 3/Lectures from Colombo to Almora/The Future of India, Wikisource. Sanskrit is the divine language. Swami Vivekananda in: The Complete Works of Swami Vivekananda/Volume 3/Buddhistic India, wikisource. Sanskrit is the language of God. The great difficulty in the way is the Sanskrit language — the glorious language of ours; and this difficulty cannot be removed until — if it is possible — the whole of our nation are good Sanskrit scholars. You will understand the difficulty when I tell you that I have been studying this language all my life, and yet every new book is new to me. How much more difficult would it then be for people who never had time to study the language thoroughly! The one idea the Hindu religions differ in from every other in the world, the one idea to express which the sages almost exhaust the vocabulary of the Sanskrit language, is that man must realise God even in this life. Swami Vivekananda in: The Complete Works of Swami Vivekananda [ Volume 4 ], Kartindo.com, p. 405. The Puranas were written in the language of the people of that time, what we call modern Sanskrit. They were then meant not for scholars, but for the ordinary people; and ordinary people cannot understand philosophy. The very sound of the Sanskrit is musical. Swami Vivekananda in: The Complete Works of Swami Vivekananda/Volume 1/Lectures And Discourses/Vedic Religious Ideals, Wikisource. The very sound of Sanskrit words gives a prestige and a power and a strength to the race. Swami Vivekananda in: The Complete Works of Swami Vivekananda ( Vol 1-9 ) [ Kartindo Classics], Kartindo.com, p. 107. This Sanskrit language is so intricate, the Sanskrit of the Vedas is so ancient, and the Sanskrit philology so perfect, that any amount of discussion can be carried on for ages in regard to the meaning of one word. If a Pandit takes it into his head, he can render anybody's prattle into correct Sanskrit by force of argument and quotation of texts and rules. Swami Vivekananda in: Complete Works of Swami Vivekananda/Volume 3/Lectures from Colombo to Almora/Vedanta in its Application to Indian Life, Wikisource. In philology, our Sanskrit language is now universally acknowledged to be the foundation of all European languages, which, in fact, are nothing but jargonized Sanskrit. Swami Vivekananda in: [https://en.wikisource.org/wiki/The_Complete_Works_of_Swami_Vivekananda/Volume_2/Reports_in_American_Newspapers/India%27s_Gift_to_the_WorldThe Complete Works of Swami Vivekananda/Volume 2/Reports in American Newspapers/India's Gift to the World],Wikisource. The Sanskrit language has made room for the Persian and the Arabic. Swami Vivekananda in: The Complete Works of Swami Vivekananda ( Vol 1-9 ) [ Kartindo Classics, Kartindo.com, p. 521. ...The mode of writing, however, which is employed throughout the heart of Aryan India, or in Hindustan proper, is alone adopted by European scholars: it is called the devanigari. - William Dwight Whitney. Whenever in Sanskrit there is an "s", in ancient Persian it changes into "h", so that "Sindhu" became "Hindu"; and you are all aware how the Greeks found it hard to pronounce "h" and dropped it altogether, so that we became known as Indians. Swami Vivekananda in: The Complete Works of Swami Vivekananda ( Vol 1-9 ) [ Kartindo Classics], p. 78. We pass at once into the magnificent edifice which bears the name of Panini as its architect and which justly commands the wonder and admiration of everyone who enters, and which, by the very fact of its sufficing for all the phenomenon which language presents, bespeaks at once the marvelous ingenuity of its inventor and his profound penetration of the entire material of the language. Sanskrit is the gateway to understanding ancient Indian literature. One of the few Sanskrit grammars currently available. The natives of India write their ancient and sacred language in a variety of alphabets — generally, in each part of the country, in the same alphabet which they use for their own vernacular alphabet which they use for their own vernacular. The mode of writing, however, which is employed throughout the heart of Aryan India, or in Hindustan proper, is alone adopted by European scholars: it is called the devanigari. William Dwight Whitney in: "Sanskrit Grammar", p. 570. Certain nasals in Sanskrit are of servile character, always to be assimilated to a following consonant, of whatever character that may be. Such are final m in sentence-combination, the penultimate nasal of a root and a nasal of increment in general. William Dwight Whitney in: "Sanskrit Grammar", p. 24. These forms often go in Sanskrit grammars by the name of "special tenses”, while the other tense-systems are styled "general tenses” — as if the former were made from a special tense stem or modified root, while the latter came, all alike, from the root itself. William Dwight Whitney in: "Sanskrit Grammar", p. 227. India though it has more than five hundred spoken dialects, has only one sacred language and only one sacred literature, accepted and revered by all adherence of Hinduism alike, however diverse in race, dialect, rank and creed. That language is Sanskrit and Sanskrit literature, the only repository of the Veda or knowledge in its widest sense, the only vehicle of Hindu mythology, philosophy, law, the mirror in which all the creeds, opinions, and customs and usages of the Hindus are faithfully reflected and the only quarry whence the requisite materials may be obtained for improving the vernaculars or for expressing important religious and scientific ideas. Sir Monier Monier-Williams in: The Literary World: Choice Readings from the Best New Books, with Critical Revisions, James Clarke & Company, 1877, p. 252. 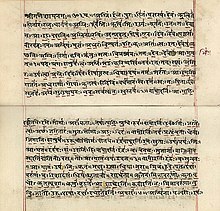 By Sanskrit is meant the learned language of India - the language of its cultured inhabitants, the language of its religion, its literature and science - not by any means a dead language, but one still spoken and written by educated men by all parts of the country, from Kashmir to Cape Comorin, from Bombay to Calcutta and Madras. Sir Monier Monier-Williams in: Sanskrit-English dictionary, Рипол Рипол Классик, p. 20. The grammar of Panini is one of the most remarkable literary works that the world has ever seen, and no other country can produce any grammatical system at all comparable to it, either for originality of plan or analytical subtlety. Sir Monier Monier-Williams in: Indian Wisdom, W. H. Allen & Company, 1876, p. 172.